We've given Sony's PS4 Pro a month to impress us. Here's how it fared. Consoles used to be so simple: plug in and play, perhaps pausing to blow on a cartridge if you were unlucky. Each generation was clearly superior to the last in very obvious ways, and a game played the same on your NES setup as it did on your mate's one down the road. So there's shock amongst the filthy console casuals these days when they hear I have a Pro and ask me whether they should buy one, because they are immediately subjected to a barrage of questions including but not limited to: do you own (or is Santa bringing you) a decent ultra high definition TV? Do you sit close enough to said 4K TV to reap the benefits of its extra pixels? Are you sure it's not one of those horrid "3K" TVs with a white pixel for every red, green, and blue? Does it support HDR? Is your viewing room dark enough for HDR to make a difference? Do you care about ultra high definition Blu-ray? Do you have any child support payments owing? Do you already own a vanilla PS4? Do you play The Witcher 3? Are you expecting your PS VR to now rival a Rift? In short, welcome to the world of half-step consoles, where everything is just a wee bit more complicated than it was three short months ago, before the machine known as Neo was first shown to an eager public. In marketing the Pro, Sony promises "the world's most powerful console" (true until Scorpio launches next December), "faster frame rates" (true for a select few games at the moment), and "dynamic 4K gaming" (it's complicated). In other words, the Pro's extra grunt can be used by developers however they see fit – provided their game doesn't run worse on PS4 Pro than it does on PS4 (something Watch Dogs 2 and others were immediately guilty of), and provided multiplayer games don't run at higher frame rates (a rule Battlefield 1 has already broken). Sony also mandates that all games must run at a minimum resolution of 1080p on the Pro which is great – it's just a bit sad that something we expected to arrive back in the PS3 era is only finally surfacing now. I've spent a lot of time over the past month with the Pro, a 65 inch Sony X93D 4K TV (kindly loaned to me by Sony), and my trusty old 1080p Panasonic display, to see what developers have been doing with the Pro's extra horsepower. With the teething Pro problems that faced games including The Last of Us: Remastered and Watch Dogs 2 out of the way, the benefits and limitations of the Pro are becoming clear. However, the impression I get is that first-party studios aside, most developers are still getting to grips with Sony's new console. That's actually good news: it means we're likely to see smarter implementation of the Pro's impressive horsepower next year, and possibly bigger performance gains as a result. That's a tantalising prospect when you realise Gravity Rush 2, Horizon Zero Dawn, Days Gone, Gran Turismo Sport, Nioh, Resident Evil 7 Biohazard, and For Honor are in line for the PS4 Pro treatment. 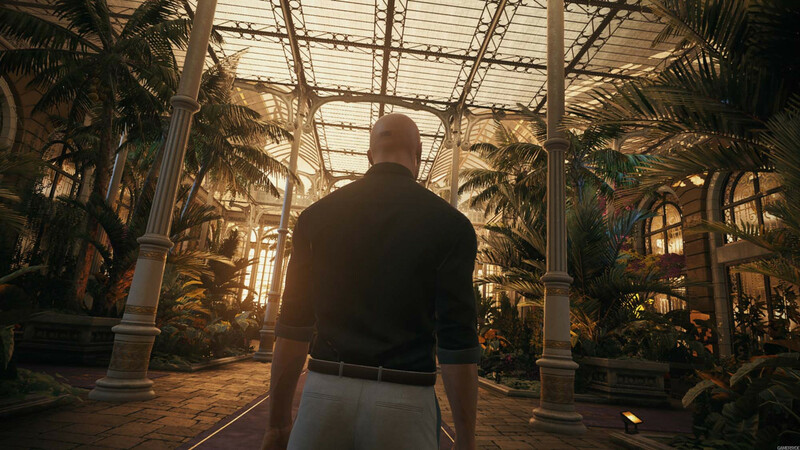 Depending on how a developer chooses to use the Pro's increased processing power, they are able to render higher or more consistent framerates, increased environmental and character model detail, improved overall visual quality, and other related visual enhancements. However, as far as I can tell, most developers that have released Pro patches for their games have focussed more on prettier visuals than performance boosts. Games with shaky framerates like The Last Guardian are definitely steadier on the Pro, but fewer than 10 percent of the current 60-odd games that support PS4 Pro feature a higher target framerate on Pro than they do on vanilla PS4 (notably: Battlefield 1, Final Fantasy XV, Infamous: Second Son/First Light, and Rise of the Tomb Raider all fall into this category). Meanwhile, almost every game with a Pro patch runs at a higher resolution on the Pro than it does on a vanilla PS4, and it wouldn't surprise me if this prioritisation of pixels continues; after all, it is generally believed that better-looking games receive higher review scores and sell more than those that focus on the holy grail that is 60 fps. The impression I get is that many console gamers aren't aware of framerates at all (or don't care about them), and for many developers, the compromise in image quality required to get a game running at 60 fps simply isn't worth it. "I acknowledge that ultra-low input latency has tangible benefits for certain genres of games (fighters, multiplayer shooters, etc. ), but those aren't the games I tend to be playing," Naughty Dog senior programmer Cort Stratton told Polygon earlier this year. "In most cases, I'd rather a team uses the extra 16 milliseconds per frame to make the game world significantly more beautiful/fun/rich/complex/awesome, instead of wasting it all to make the game marginally more responsive to player input." 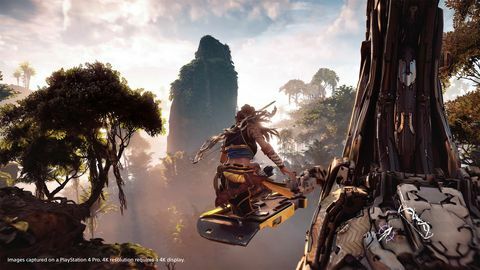 Similarly, Guerrilla Games' tech director Michiel van der Leeuw and studio boss Herman Hulst told Kotaku that framerate in many PS4 games is constrained by factors that the Pro can't help with. So, expect the prioritisation of visuals over framerate to continue with the Pro: most developers will still aim for a 30 fps experience, and the Pro will deliver that target more consistently at resolutions higher than 1080p. How much higher? Well right now, calling the Pro a 1440p console seems fair – that's what it runs new releases like Dishonored 2, Uncharted 4, and Hitman at. Call of Duty: Infinite Warfare, Battlefield 1, and a couple of others sit slightly above that resolution, but regardless, all games are then upscaled to quote-unquote 4K for those with an ultra high definition TV, or downscaled to 1080p for the plebs like me still living in the past with a mere high definition set. As you'd expect, the results of these transformations vary from title to title, which suggests that while the Pro's upscaler is baked into its hardware, developers do have some level of control over it. And of course, some assets simply scale better than others. I should note that despite the trend outlined above, a handful of developers are doing Pro patches right by allowing players to choose how the Pro's extra power is allocated. For example, Battleborn lets you choose between 1080p at 60fps or native 4K at 30fps, while Rise of the Tomb Raider has three modes: (upscaled) 4K resolution mode at 30fps, High Frame Rate mode at 60fps, or Enriched Visuals mode which is 1080p at 30fps but with better image quality via hardware tessellation, anisotropic filtering, additional dynamic foliage, and more. Even Farming Simulator 17 has three modes for Pro owners: native 4K, 1080p at 60fps with an improved draw distance, or 1440p at 60fps. This is how Pro patches should be done, and I pray that many future releases include such options, rather than patches that provide little improvement, such as those for Overwatch and Assassin's Creed Syndicate. "With PS4 Pro, our strategy has instead been to foster streamlined rendering techniques that can take advantage of custom hardware," said PlayStation 4 architect Mark Cerny at the Pro's unveiling. "When coupled with best-in-breed temporal and spatial anti-aliasing algorithms, the results can be astonishing." And he's right: the upscaling technology on the Pro is a technological marvel that produces some astonishing results given the price of the console. In all these cases, jaggies are reduced, previously-muddy objects in the distance take shape, and things just look crisper overall. Ratchet and Clank and Uncharted 4 also benefit greatly from HDR support, which is even more astonishing than the resolution upgrade if you ask me – details you couldn't even perceive on my 1080p TV emerged from the darkest and lightest parts of the 4K screen. Infamous: First Light also excelled here, which is no surprise given it is a great-looking game anyway, and its protagonist's powers are literally neon light. With HDR enabled, these effects really pop. With vanilla PS4 also offering HDR support, it's likely we'll see many more upcoming games offer HDR compatibility, and that's damn exciting. However, there's a reason that Sony loaned me a top-of-the-line telly (NZ$5000 retail) with a Pro – your TV matters, and it seems you need to fork out some serious cash to get a low latency 4K beast that capably supports HDR (some TVs do a pretty half-assed job). If you don't have a 4K display or HDR, the Pro still provides some benefits. Downsampling to 1080p from higher resolutions and adding a bit of anti-aliasing smooths out a lot of jaggies and eliminates some shimmering, and games can look less grainy overall. This gives some games like Battlefield 1, Hitman, and Ratchet & Clank a marginal bump in visual quality and a cleaner look with more clarity, but elsewhere it's hard to tell the difference between a game's Pro and vanilla versions. Similarly, PS VR games get much-needed shimmer reduction and some image quality improvements with the Pro – with Rigs, Battlezone, Robinson: The Journey, and Driveclub VR the obvious winners here – but with most titles the difference is subtle. I was certain that the PS4 Pro was going to make a big difference with Sony's underwhelming VR visuals, but now I'm not so sure. That said, upcoming games properly developed for the Pro will be the real measure here. There is one area where the Pro offers an unexpected benefit: loading times. That's because the PlayStation 4 Pro has a high-bandwidth SATA 3 hard drive interface that reduces waiting times even though Mark Cerny said it wouldn't. How much loading times are cut varies from game to game, but very generally speaking, games load anywhere from 10-20 percent faster on the Pro. That's not a huge boost for games with short loading times, but it makes a big difference for games with terrible loading times on PS4 like The Witcher 3, Fallout 4, and Bloodborne. If you don't have a PS4 and can afford the Pro, it's the PS4 system to get. It's the gruntiest console Sony will release for a few years – something that makes its lack of a UHD Blu-ray even more baffling – and you can always upgrade your TV later. If you already own a 4K TV, it could be argued that the Pro is a worthwhile upgrade from vanilla PS4, even though the latter now supports HDR. You'll be entering a world of (in most cases) almost-4K, and for the next year can brag about owning the world's most powerful console. 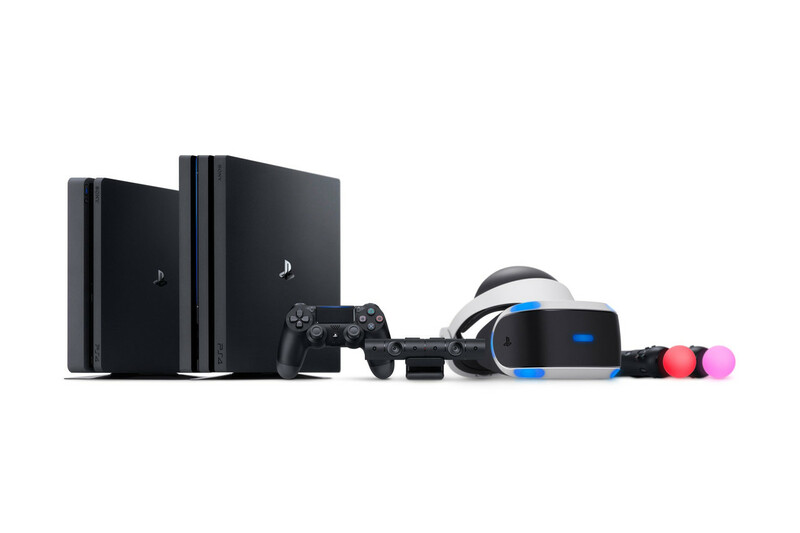 However, for those with a PS4 and no 4K TV, it's a harder decision, as the Pro's benefits are small: better loading times, a small visual bump for some games, a slightly improved PS VR experience, and… that's about it. I must admit that a month with the Pro and Sony's loaner 4K TV had me eyeing up a 65 inch Samsung KS8000 4K set (about NZ$3700). However, common sense eventually prevailed when I realised that I'm not in a financial position to be an early adopter. Cheaper 4K sets are available of course, but the latency and image quality compromises they make in order to keep costs down have put me off for the moment. There is one other reason why it's maybe worth getting a Pro if you are in my position: it's possible that in the future, some games will run at an acceptable level on the Pro, but be compromised in one way or another on a vanilla PS4. Sony will likely be watching closely to make sure this doesn't happen, but it's certainly not outside the realm of possibility. Reportedly, there is already an example of this with The Last Guardian, a game where the Pro version feels like the baseline rather than an upgrade. Whatever the case, the next year is going to be very interesting. I do feel that Sony might have pulled the trigger on the Pro a little too early, as the prices of good 4K TVs aren't likely to dip for a while yet, and while powerful, the Pro doesn't feel like a massive step up at this moment. Also, regardless of how good the Pro's upscaler is, if Scorpio ends up running many more games in native 4K as Microsoft says it will, that's going to be a big bragging point for Xbox – even if the difference between the two is barely perceivable for those with anything but high-end 4K displays. I also worry that those with less capable 4K TVs or decent 4K TVs sitting in less than ideal places will get swept up in the 4K hype and be subsequently disappointed when they can't see much difference. So much rides on your TV and setup. 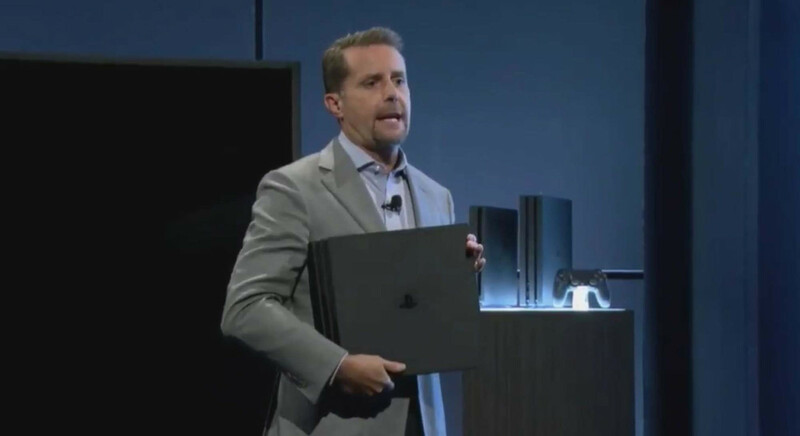 But make no mistake, Sony's "Big Mac" is a formidable machine, and I'm excited to see what developers can do with it. In a way, all of this hedging speaks to just how good of a console the vanilla PS4 was – and still is.